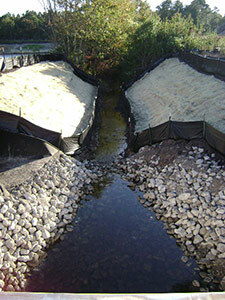 Maintaining site integrity through erosion and sedimentation control is a key component in pre-construction planning and during ongoing site work. 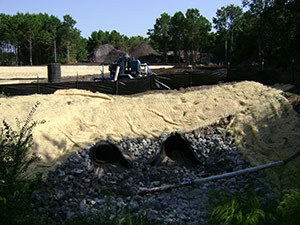 CSD Engineering’s experience in preparing the plans and calculations necessary to obtain an erosion and sedimentation plan approval means we are accurate, efficient and effective when it comes to stormwater permitting. 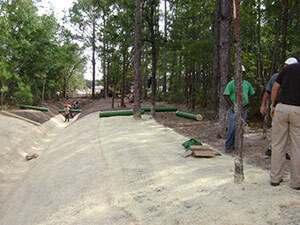 We stay current on the rules and regulations governing erosion and sedimentation control, and the techniques and methods we employ for effective control are up to date. CSD Engineering leverages our knowledge and experience to keep your project in compliance at every phase. CSD Engineering also provides site inspections to ensure compliance with the National Pollutant Discharge Elimination System (NPDES) guidelines. Our inspectors work closely with site managers, contractors and developers to ensure the project is on track and in compliance, saving thousands in potential violation fines and construction delays by providing weekly inspections, reports and recommendations for improvement.